Kari Black is a paralegal with more than 17 years of experience in mass toxic tort litigation, especially in the area of asbestos exposure. 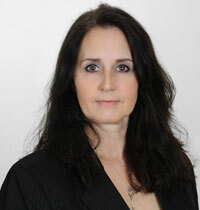 Working at Hendrickson & Long, PLLC, Kari also has significant experience assisting in cases in the areas of insurance defense matters, bankruptcy, business law, banking law, domestic law (divorce), product liability, and medical malpractice. Kari received a paralegal certificate from the University of Charleston and continues to work on a degree at Marshall University.